About 10 miles north of Deep Creek Lake, is Accident, Maryland. The tiny, picturesque town is home to about 330 residents. The town offers residents parks with features such as a fishing pond, pavilion, Little League field, and a walking trail. When is the best time to visit Accident? The Fourth of July Homecoming celebration! For more information, visit http://www.accidentmd.org/. FUN FACT: Ever wonder how Accident got its name? Back in the late 1700’s, two Western Maryland settlers surveyed the land. 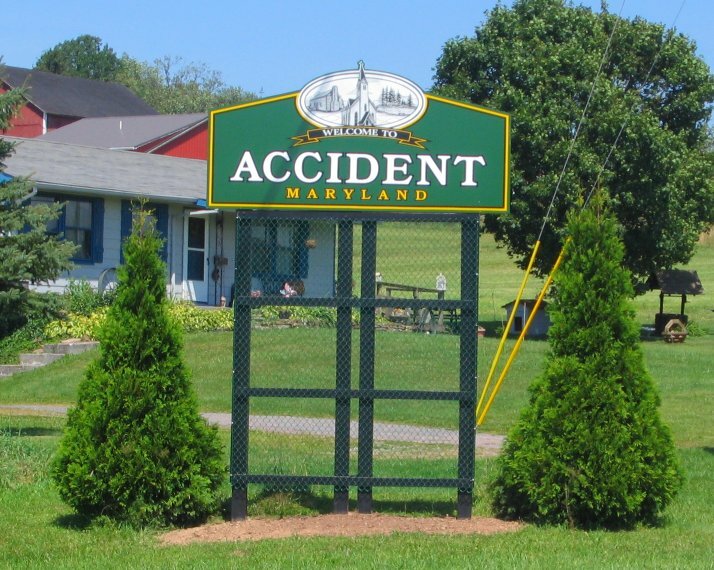 By “accident” they chose the same piece of property, therefore the tract of land was named “Accident”. TURBOTVILLE — Cassandra Como makes the trek from Connecticut to Warrior Run-Fort Freeland Heritage Days each year, just as she has for 29 of the 30 years the event has been staged at the Hower-Slote House and Historic Warrior Run Church. Her story is what makes Heritage Days a special event for the region, one of learning a piece of history, living it and keeping it vibrant for future generations. Como went to Warrior Run High School, where she learned the craft of making apple butter under Al and Anne Reeves. She rose through the ranks, first as an apprentice, then as a journeyman, now a master…. …In the Indian Village, Elizabeth Huxford, of Garrett County, Md., was making a fishnet, using techniques the Iroquois would have used in the 1700s, prior to the Revolution.